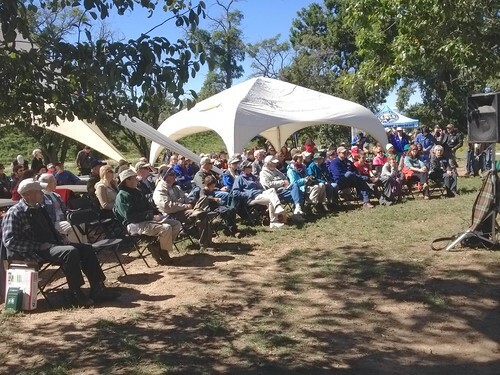 Rocky Mountain Bird Observatory celebrated its 25th anniversary on October 5, 2013. A nice crowd showed up for the event. Above, folks gathered to hear some guy talk about being a bird consultant for a Hollywood movie, The Big Year, and his experiences meeting Jack Black, Steve Martin, and Owen Wilson. We had a good turn out for a very chilly early morning bird walk. 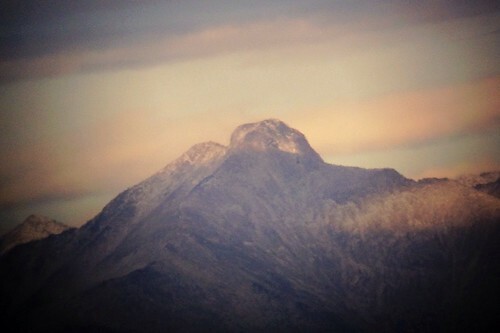 This is a phone-scoped picture of the morning sun beginning to light up a very distant Long's Peak. It was taken handheld with my iPhone through my Swarovski ATX 80 telescope at 25x. 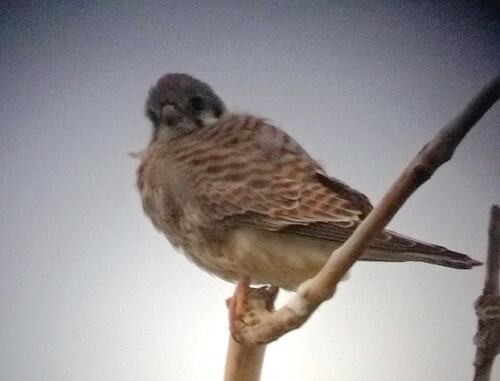 An American Kestrel posed long enough for everyone to get a scope view and fortunately, long enough for me to capture a quick phone-scoped picture (same set up as above). And as all my readers know by now, I love visiting local restaurants and trying out new dishes. 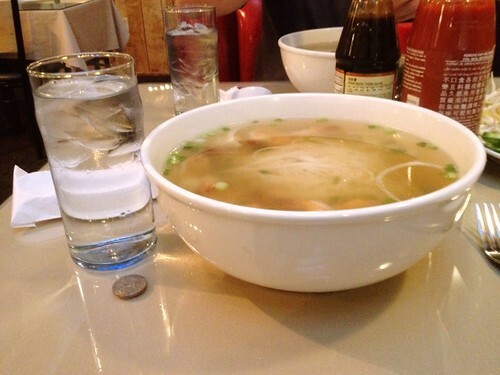 This is a “regular” sized bowl of Pho (noodle soup) at a Vietnamese restaurant in Brighton, Colorado. It was gargantuan! I didn't even make a significant dent in this Goliath-sized bowl of soup. I think it must be half a gallon. Haha. Check out that quarter beside the glass of water for a size reference! The portion I ate was delicious, too. Wow! 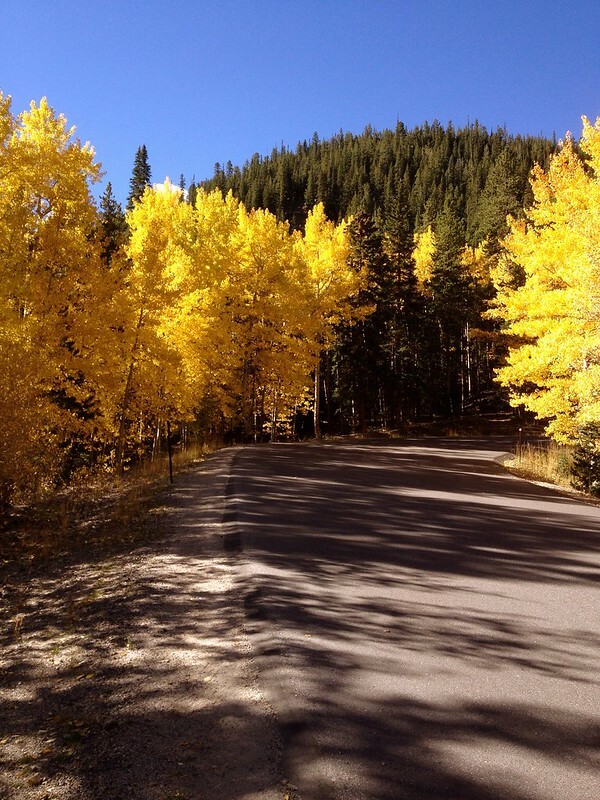 What is not to like about aspens in the fall? I am here in Colorado for Rocky Mountain Bird Observatory’s BBQ with the Birds tomorrow, October 5, 2013. Check out the RMBO website for more information. And of course, if you are in the area why not come and join me for the day’s festivities! Where in the world is Greg Miller? Well, this fall, he is many fun places. Here is a visual that plots out my course. Ha! I’m going to be touring a fair portion of the U.S. over the next 9 weeks. Here is my line up. Why don’t you consider joining me at one or more of these fine events! You can click on any of the logos below to get more information.